Join one of several Strategic Doing networks mapping a future course. None of us is a stranger to change. We see it in our educational institutions, our healthcare systems, and the many businesses around us. 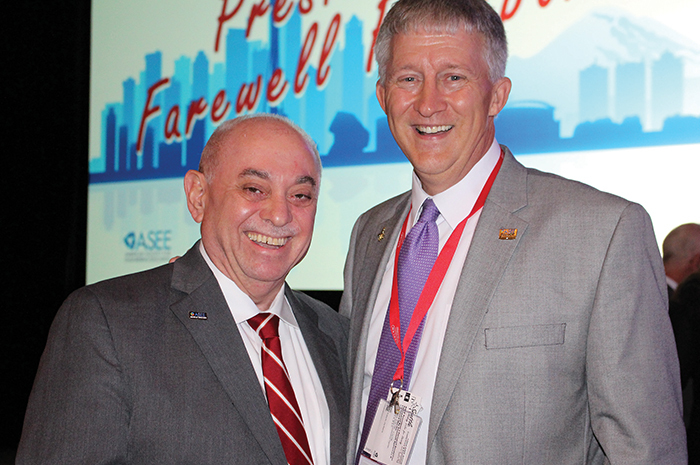 It should be no surprise that ASEE, like other organizations, is facing a significant transition. Our financial challenges are simply a warning sign that we must think and act differently. We need to design an ASEE that provides value to members and those we serve in new and different ways. You have told us that ASEE operates with a fragmented membership structure that is confusing and difficult to navigate. Our professional staff is fully engaged in trying to manage this complexity. To address and resolve these challenges, the ASEE Board of Directors is moving in a new direction. Traditionally, an organization in our situation would turn to an expensive outside consultant for guidance. We have chosen a different path. Over the past decade, the Purdue Center for Regional Development (PCRD) has pioneered the development of a new strategy discipline, called Strategic Doing. This approach to strategy is specifically designed for open, loosely connected networks. Using a protocol of simple rules, the methodology forms collaborations quickly and moves them toward measurable outcomes. It is an agile strategy discipline that encourages learning by doing. Provide platforms to accelerate our collaborations. PCRD is using Strategic Doing to help universities redesign their undergraduate engineering programs. Partnering with Stanford and VentureWell, PCRD is providing strategic guidance to 37 universities participating in the National Science Foundation-funded Pathways to Innovation initiative. PCRD is helping the ASEE Board of Directors engage “networks of the willing” among members who want to help design what’s next for ASEE. Over the past year, we have spent time familiarizing the ASEE Board and staff with this agile process. From October 2014 to January 2015 we conducted interviews to help us draft an alpha version of a strategic action plan. From February to April we worked on a beta version and obtained membership feedback in May. In June, at our annual meeting, we worked with the membership on the first public version of our strategic action plan. Strategic Doing is based on principles drawn from agile software development. We develop new versions quickly as we learn what works and make continuous improvements. To facilitate more formal reviews, the board will revise and release the tactics two to three times a year moving forward. Patience. Transforming an organization as large and complex as ASEE will take time. We will be moving away from top-down thinking to a more inclusive and innovative approach to engaging our members. Persistence. ASEE has enormous strengths as an organization. Our members are working hard to meet the global challenge of transforming engineering and engineering technology education. We will strengthen ASEE by emphasizing the extraordinary assets of our members and staff. Participation. Engineering and engineering technology educators improve by encouraging experimentation in the classroom. 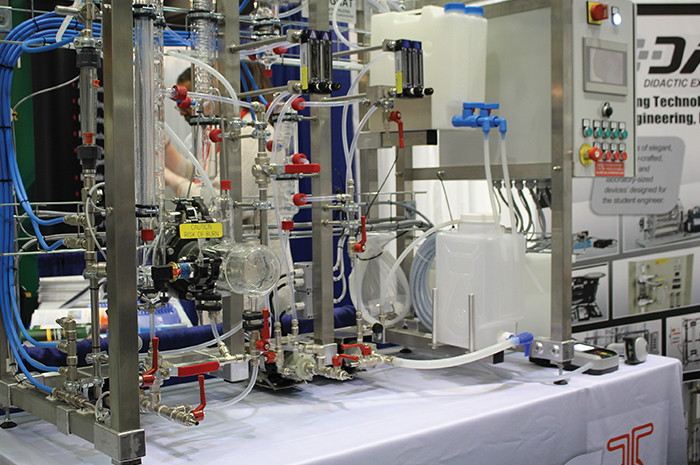 We need to encourage the same spirit of experimentation within ASEE. No one is quite sure how ASEE will look in five years. We are sure, however, that designing what’s next will require continuous experimentation from a growing number of members. Governing ASEE. We need new internal rules to govern in a more agile way. Connecting ASEE. We need to make it easier for members to connect and learn from each other. 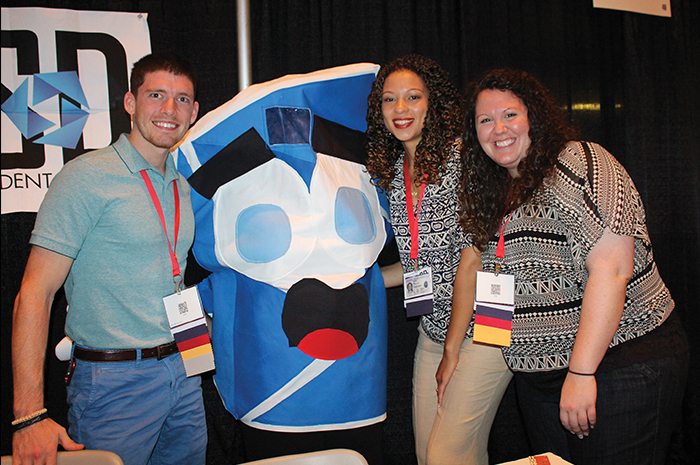 Innovating ASEE. We need to design how the new ASEE will look. This design will integrate online collaboration with in-person experiences. Diversity. 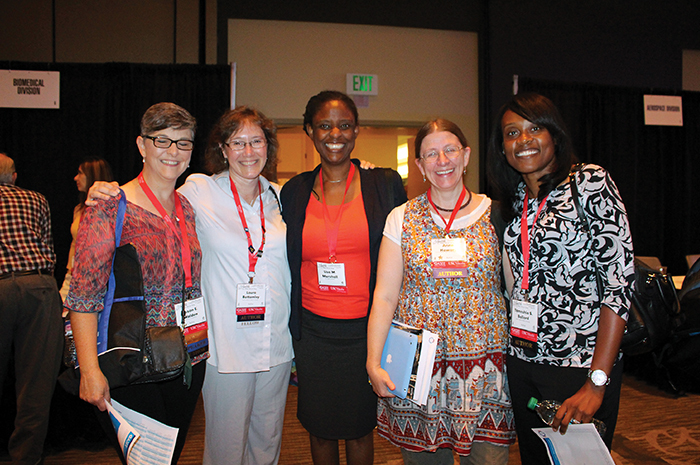 We need to continue the excellent work we have begun in promoting diversity in the profession. PK-12. Our work promoting engineering and engineering technology education early in the education experience of children is critical to the long-term health of our profession. Global Connections. 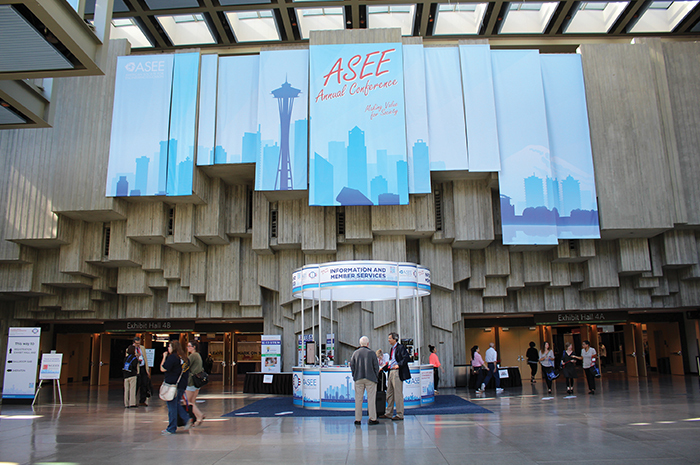 ASEE is the hub of a global network of engineering and engineering technology educators. We need to expand these opportunities. 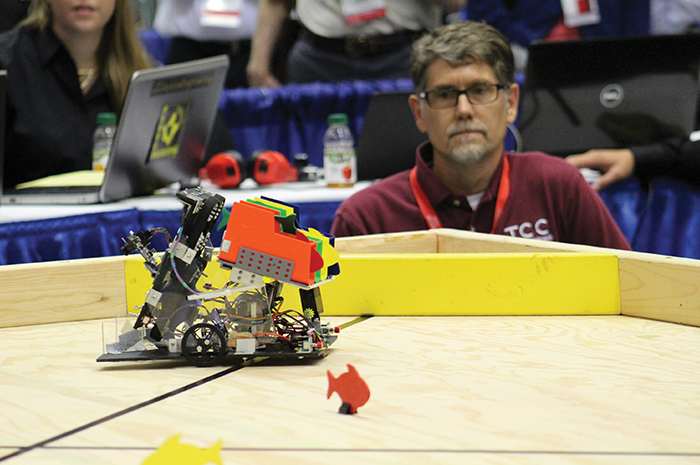 Transforming Engineering and Engineering Technology Education. Faculty and staff teams are hard at work transforming engineering and engineering technology education across dozens of universities. ASEE can play a vital role supporting, accelerating, and encouraging the dispersion of the work of these teams. I am looking forward to working with the ASEE Board of Directors, the ASEE staff, and ASEE membership this coming year in helping carry out ASEE’s rich tradition and strategically working with you to lead ASEE forward. “There are many ways of going forward, but only one way of standing still.” – Franklin D. Roosevelt. 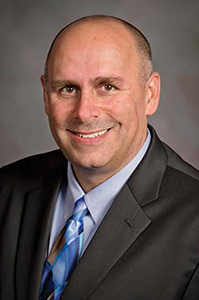 Joseph J. Rencis is president of ASEE. It took a decade before dad was OK with his career move. 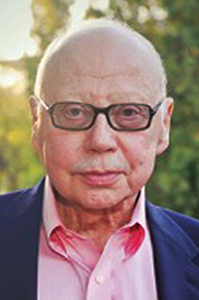 By then, Brooks had come to the United States, earned a master’s and a doctor of engineering degree from the University of California, Berkeley, and joined the faculty at Temple University. An associate professor of civil and environmental engineering, he has wide-ranging research interests and a broad portfolio of courses. How broad? Over the past 22 years, Brooks reckons he has taught more than 1,500 students representing 40 majors from 11 colleges. 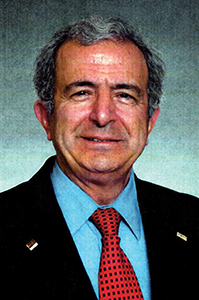 He also developed 14 courses in civil engineering, engineering science, and engineering technology; single-handedly created the graduate curriculum for the master’s and Ph.D. programs in transportation engineering; and played a key role in improving the undergraduate civil engineering and construction management technology curricula. The course that gives Brooks the most satisfaction is The Environment, an introductory science core requirement. “It opened my eyes to what students really want and how I can help them to help society at large,” he explains. Students accord Brooks stellar marks for his knowledge and passion for teaching, as did Temple’s College of Engineering when it named him Teacher of the Year in 2008. Student Rodolfo Ranjo, for instance, appreciated his ability to break complex concepts into “manageable and digestible pieces.” He also praised Brooks’s accessibility. “I have an open door policy,” says Brooks. An avid walker, he tells students he lives so close to campus that it’s no problem if they need help – even on a Saturday night. 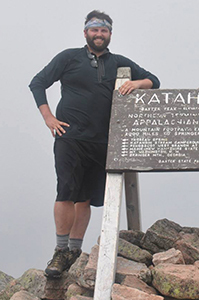 Tim Donovan works as an assistant program manager on multiple projects in ASEE’s Fellowships and Research Opportunities Department. It perhaps was inevitable that the Illinois native would end up in Washington, D.C. “I was a poli-sci major at the University of Illinois. I started watching the Daily Show about that time, and it got me interested in politics, and then I started working on campaigns.” Tim got a job with Grassroots Campaigning, an organization that those who live in big cities may be familiar with: They are the earnest, freshly scrubbed, and idealistic kids so kindly asking you to sign a petition for this-or-that cause. While at Grassroots, Tim worked for the Democratic National Committee during the 2008 election. He was asked to transfer to Hartford, Connecticut, but “I didn’t have a car, and they said I probably wouldn’t do so well in Hartford without a car and so they sent me to Philadelphia.” This vehicular inadequacy proved fortuitous; while in the Philadelphia office he answered the phone call of a prospective campaign employee whom he would eventually date and, in the summer of 2014, marry. Outside of work and politics, Tim and his wife, Christine, are avid hikers. With great facility, Tim can name many of the nation’s greatest hikes, several of which the couple have enjoyed (or conquered, one might say, depending on the rigor). “For our honeymoon we went to Olympic National Park in Washington, and the Mount Lena trail was amazing. It’s a seven-mile hike with 4,200 feet of elevation…but most of that – 3,200 feet – is over the last three miles. It’s intense. But we had the lake at the top to ourselves for, like, seven hours.” A joy of the capital region is that the benefits of urban living and of vast, deep forests are not far apart. The Shenandoah Valley in Virginia and the mountains of West Virginia are favorite nearby destinations for this political, peak-seeking pair. Tim says the people are what makes ASEE great for him. “ASEE gave me a chance in 2009 when I needed work, and so many of the people I was temping with got converted to permanent employees, just like me,” he says. “Once you find your groove at ASEE, you don’t really want to leave.” He adds a fun fact: “I think I hold the unofficial record for having sat in the most places: Ten spots on three different floors, and seven of those were in the first year alone.” Whether in the office or on the trail (campaign or nature), Tim is on the move. 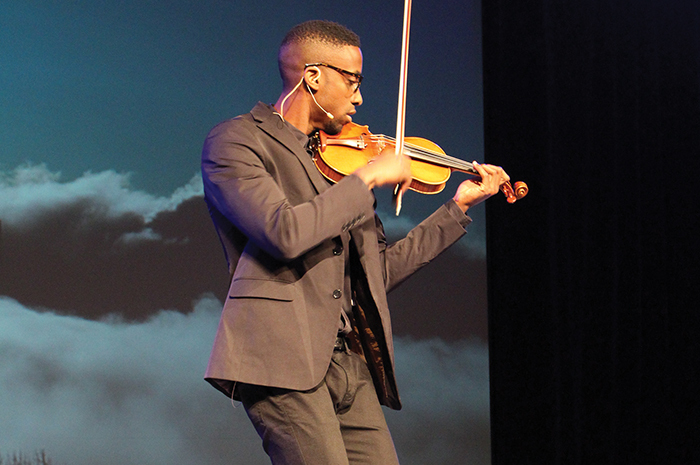 Record attendance, topics ranging from the Internet of Things to risk-taking in the classroom, and the host city’s caffeinated energy made for a memorable 122nd Annual Conference and Exposition. Much of the focus throughout was on teaching innovations, with the most imaginative accomplishments gaining “best paper” recognition. Attendees also found time to stroll among exhibits, share ideas and refreshments at the Division Mixer, and witness the leadership handover to incoming President Joseph Rencis, wearing lanyard at left, and President-elect Louis Martin-Vega. The following members received the Fellow grade of membership in recognition of outstanding contributions to engineering or engineering technology education. 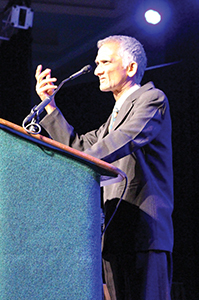 This distinction was conferred at the awards ceremony during ASEE’s annual conference in Seattle. Honorary membership is granted to members and non-members of ASEE for eminent and distinguished service to mankind in engineering and engineering technology education or allied fields. C. Daniel Mote, Jr., president of the National Academy of Engineering and Regents Professor at the University of Maryland, College Park, was recognized for his many years of eminent and distinguished service to higher education, engineering and engineering technology education, and for providing engineering leadership to the nation. 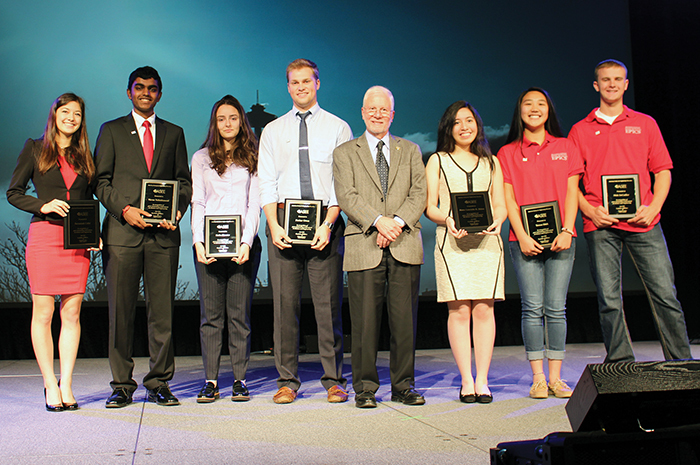 The ASEE President’s Award recognizes organizations that encourage K-12 students to enter engineering schools and pursue engineering careers and/or influence public opinion and create recognition of the critical role that engineering plays in today’s technology-driven society. 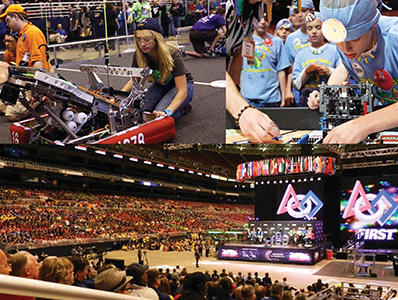 FIRST (For Inspiration and Recognition of Science and Technology) is recognized for its efforts to inspire young people to be science and technology leaders by engaging them in exciting, mentor-based programs that build science, engineering, and technology skills; inspire innovation; and foster well-rounded life capabilities, including self-confidence, communication, and leadership. Established in 1928, the Benjamin Garver Lamme Award recognizes excellence in teaching, contributions to research and technical literature, and achievements that advance the profession of engineering college administration. Clive L. Dym is a professor emeritus in the Department of Engineering at Harvey Mudd College. He was recognized for over four decades of service to engineering education through teaching, research, writing, and administration. He has taught courses in applied mechanics, acoustics, applications of artificial intelligence in engineering, and design at noted research universities and an outstanding undergraduate program. He has published widely and extensively, with oft-cited journal articles and texts in multiple editions and translations, and provided department leadership at both the graduate and undergraduate levels. He also has contributed to the profession through invited lectures, keynote talks, and service on many professional society committees. At Harvey Mudd, he created the program’s formal design instruction and advocated for integrating the making of tools and prototypes in the first-year projects class. 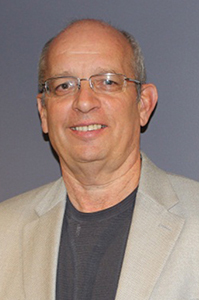 Immediately preceding his December 2012 retirement, he served as Fletcher Jones Professor of Engineering Design and director of the Center for Design Education as well as chair of the engineering department. 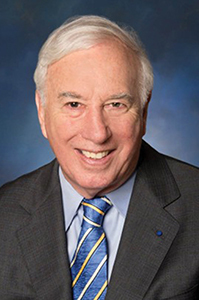 He previously held appointments at the University of Massachusetts, Amherst, where he also served as head of civil engineering department; as senior scientist at Bolt Beranek and Newman; at Carnegie Mellon University; the Institute for Defense Analyses; and the State University of New York at Buffalo. Dym completed a B.S.C.E. at the Cooper Union, an M.S. at Brooklyn Polytechnic Institute, and a Ph.D. at Stanford University. The ASEE Lifetime Achievement Award recognizes individuals who have retired or are near the end of their professional careers for sustained contributions to education in the fields of engineering and/or engineering technology. The contributions may be in teaching, education, research, administration or educational programs, professional service, or any combination thereof. Karl A. Smith is a professor of cooperative learning in the School of Engineering Education at Purdue University, West Lafayette, where he helped start the engineering education Ph.D. program.He is also emeritus professor of civil engineering, Morse-Alumni Distinguished Teaching Professor, executive co-director of the STEM Education Center, and faculty member in the Technological Leadership Institute at the University of Minnesota. 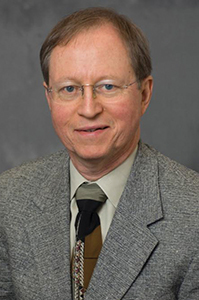 He was recognized for his pioneering leadership in the scholarship and practice of learner-centered teaching methods, including active and cooperative learning, the integration of rigorous research methodologies within engineering education, and his mentoring of faculty and students within the emerging discipline of engineering education. Smith has served as senior consultant to the provost for faculty development at Michigan State University, co-coordinator for the Bush Faculty Development Program for Excellence and Diversity in Teaching, and associate director for education at the NSF-ERC Center for Interfacial Engineering at the University of Minnesota. 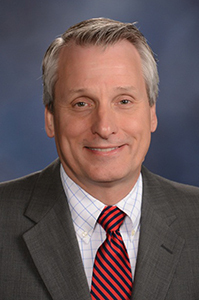 He also has served as a member of the Board of Directors of the Collaboration for the Advancement of College Teaching and Learning, and as chair of ASEE’s Educational Research and Methods Division. 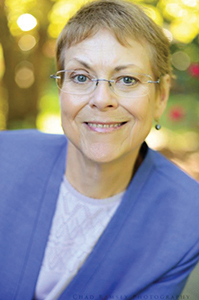 Recipient of numerous awards, Smith has written or co-authored eight books and published many articles on engineering education, cooperative learning and structured controversy, knowledge representation and expert systems, and teamwork. The Frederick J. Berger Award, established in 1990 by Frederick J. Berger, recognizes and encourages excellence in engineering technology education. It is presented to both an individual and a school or department for demonstrating outstanding leadership in curriculum, techniques, or administration in engineering technology education. 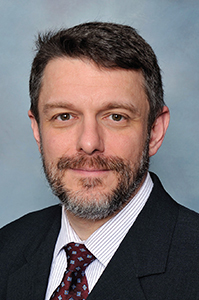 Scott C. Dunning is a professor of electrical engineering technology and director of the School of Engineering Technology at the University of Maine. He was recognized for his exemplary contributions to the advancement of engineering technology education through his service as an educator and an administrator. 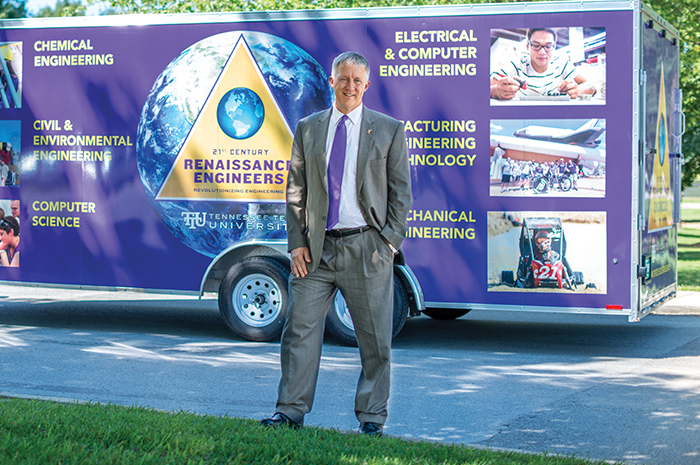 A leader within his institution and the engineering technology community, he has served in top positions within ASEE’s Engineering Technology Council and the Engineering Technology and Energy Conversion and Conservation divisions. He has also distinguished himself through leadership in both ABET and the Association of Energy Engineers. Among his accomplishments at the university was the establishment of a $6 million Advanced Manufacturing Center, which he led for six years. 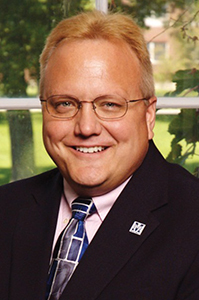 As director of engineering technology, he has led enrollment growth of 20 percent over the last seven years. The Chester F. Carlson Award is presented annually to an individual innovator in engineering education who, by motivation and ability to extend beyond the accepted tradition, has made a significant contribution to the profession. 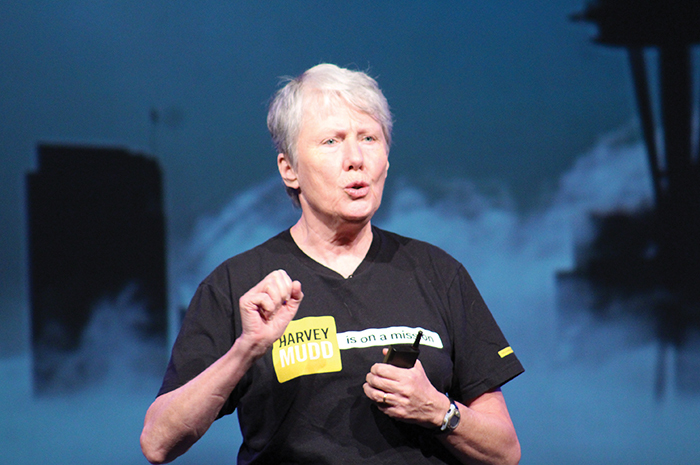 Barbara Oakley, a licensed professional engineer, is a professor of engineering at Oakland University in Rochester, Michigan; a visiting scholar at the University of California, San Diego; and Coursera’s designated inaugural Innovation Instructor. She is recognized for her visionary outreach in making STEM education possible for hundreds of thousands of students worldwide through the innovative massive open online learning course “Learning How to Learn.” Her tireless pioneering efforts in the creation of a scientifically based approach to learning have opened the doors to careers in engineering and other STEM disciplines for broad groups of students. Her work provides an exemplary new vision for educators and demonstrates how a creative innovation in response to a societal need can enhance students’ potential for successful careers in the STEM disciplines. Oakley’s research has been described as “revolutionary” by the Wall Street Journal and has been published in outlets as varied as the Proceedings of the National Academy of Sciences and the New York Times. The DuPont Minorities in Engineering Award honors an engineering educator for exceptional achievement in increasing participation and retention of minorities and women in engineering. 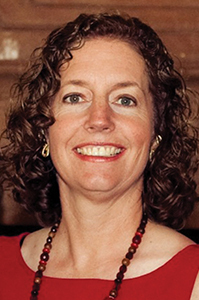 Helene Finger has been a faculty member in the civil and environmental engineering department at Cal Poly, San Luis Obispo since 1997 (with a break from 2007-2010 to pursue her Ph.D. in mechanical engineering). 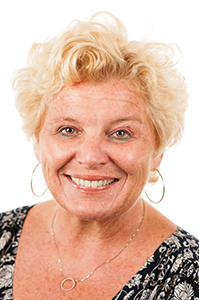 She was recognized as the driving force behind the significant progress made in accomplishing the missions of the Cal Poly Women’s Engineering Program (WEP) and the Society of Women Engineers (SWE)—for which she received the 2013 Outstanding SWE Counselor national award. Cal Poly WEP/SWE has become a national model under Finger’s leadership, growing to one of the largest in the country and winning the first of numerous consecutive years as the nation’s Outstanding Student Section. 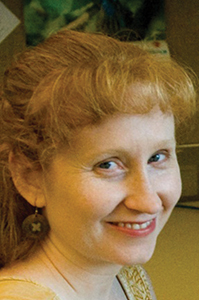 At Cal Poly, she teaches courses in water resources and water quality. William D. Taylor was recognized for his two decades of service as the director of cooperative education at the University of Alabama. 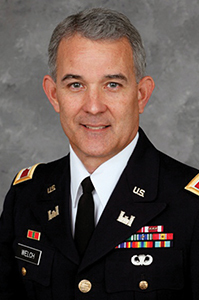 In addition to tripling the size of the program, he enhanced the computerized management system and significantly increased employer worksite visits. 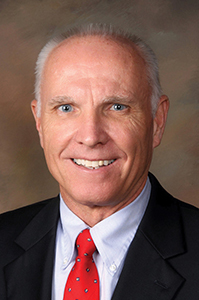 As the project administrator for the Southeastern Training Center for Cooperative Education, he conceived and initiated an annual federal government cooperative education conference for thousands of federal co-op coordinators. Taylor also sponsored training for employers and college representatives from Texas to the District of Columbia and Puerto Rico. He created a self-directed student module for co-op programs at historically black colleges and universities. As a consultant at the Mercedes-Benz U.S. International (MBUSI) cooperative education program, he wrote the program’s manual and developed an experience-based plan for co-op work rotations. 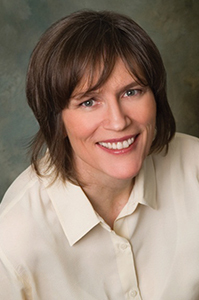 Mia K. Markey is a professor of biomedical engineering and an Engineering Foundation endowed faculty fellow at the University of Texas, Austin, as well as adjunct professor of imaging physics at the University of Texas MD Anderson Cancer Center. She was recognized for her exceptional leadership in biomedical engineering education and pioneering research that improves the quality of life of female cancer patients. 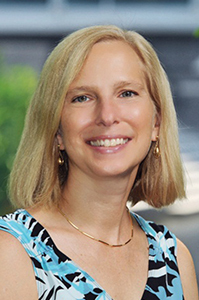 She has been recognized for excellence in research and teaching with awards from organizations such as the American Medical Informatics Association, the American Society for Engineering Education, the American Cancer Society, and the Society for Women’s Health Research. The mission of Markey’s Biomedical Informatics Lab is to develop decision-support systems for clinical decision-making and scientific discovery. 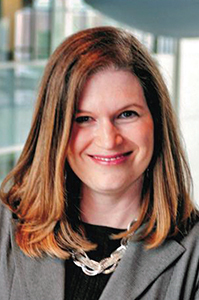 She leads a multi-institutional team that will help breast cancer survivors understand their likely appearance changes following breast reconstruction, thereby enabling them to choose a reconstruction strategy that will lead to maximal psychosocial adjustment. The James H. McGraw Award is presented for outstanding contributions to engineering technology education. Established in 1950, the award is cosponsored by McGraw-Hill Higher Education, the ASEE Engineering Technology Council, and the ASEE Engineering Technology Division. Ronald E. Land is an associate professor of engineering at Penn State’s New Kensington campus located outside of Pittsburgh, where he directed the two-year electrical engineering technology program from 1991 to 2006. 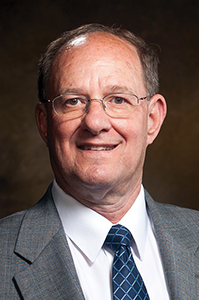 He is currently director of the baccalaureate electro-mechanical engineering technology (EMT) program. Land additionally serves as the system-wide coordinator of both programs for the engineering technology department of Penn State’s College of Engineering. He has contributed enormously throughout the years to benefit the engineering technology community. Most recently, Land has taken the lead in working with the U.S. Office of Personnel Management to update the GS 0800 Engineering Qualification Standard so it will recognize B.S. Engineering Technology graduates from ABET-accredited programs as qualified candidates for entry-level professional engineering positions with the federal government. He has also worked tirelessly for ASEE’s Engineering Technology Division and Engineering Technology Council in many roles for over a decade. 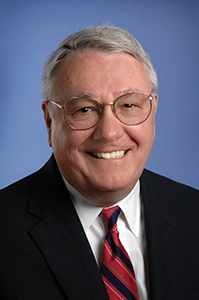 Larry Cartwright, professor emeritus of civil and environmental engineering at Carnegie Mellon University, has earned many accolades during his distinguished career. 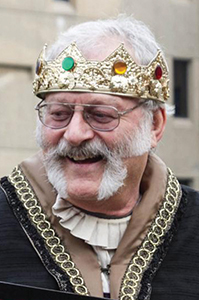 He was recognized for outstanding commitment to, and influence on, the undergraduate civil engineering students of Carnegie Mellon University over a 38-year career, for development of imaginative senior capstone design projects, and for a unique design and construction course that yielded many permanent improvements on the Carnegie Mellon campus. His versatile and creative teaching methods consistently earned outstanding scores on faculty and course evaluations. Cartwright, who earned his B.S. (1976) and M.S. (1987) in civil engineering from Carnegie Mellon, is a licensed professional engineer and consultant. Active in ASEE, he won the Best Paper Award in 2001. The William Elgin Wickenden Award is sponsored by the Journal of Engineering Education’s Editorial Review Board. It recognizes the author(s) of the best paper published in the Journal of Engineering Education (JEE), the scholarly research journal for the American Society of Engineering Education. Beth M. Holloway, Teri Reed, P.K. Imbrie, and Ken Reid received the 2015 William Elgin Wickenden Award in recognition of their article, “Research-Informed Policy Change: A Retrospective on Engineering Admissions,” which was published in the April 2014 issue of the Journal of Engineering Education. 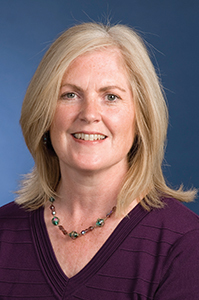 Beth M. Holloway is the assistant dean for undergraduate education in the College of Engineering, as well as the director of the Women in Engineering Program at Purdue University. As assistant dean, she is responsible for the college’s scholarship strategy, retention of undergraduate students, and undergraduate student data. Holloway’s research areas include differential retention issues for students across engineering disciplines, engineering admissions practices, and women and leadership—particularly in male-dominated careers. 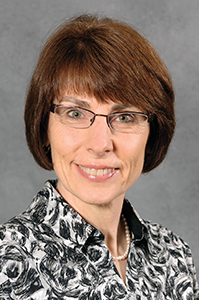 Holloway is currently chair of ASEE’s Women in Engineering Division. Teri Reed is assistant vice chancellor of academic affairs for engineering and an associate professor of petroleum engineering at Texas A&M University. 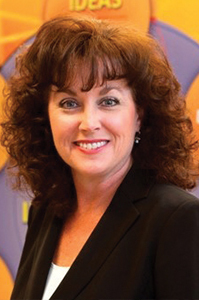 An advocate for research-informed approaches to engineering education, curricular reform, equity, and cultural humility, as well as student recruitment and retention efforts, she has made significant contributions nationally as well as at Arizona State University, the University of Oklahoma, Purdue University, and Texas A&M. Reed helped establish the scholarly foundation for engineering education as an academic discipline through co-authorship of the landmark 2006 Journal of Engineering Education special reports, “The National Engineering Education Research Colloquies” and “The Research Agenda for the New Discipline of Engineering Education.” She began serving as the Women in Engineering ProActive Network (WEPAN) president-elect in the summer of 2015. 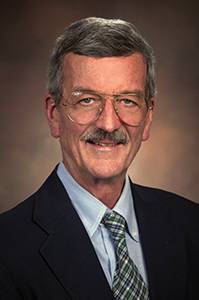 Kenneth Reid is the assistant department head for undergraduate programs and an associate professor of engineering education at Virginia Tech. He earned his Ph.D. in engineering education from Purdue University in 2009, an M.S. in electrical engineering from Rose-Hulman Institute of Technology in 1994, and his B. S. in computer and electrical engineering from Purdue in 1988. His research interests include success in first-year engineering, engineering in K-12, introducing entrepreneurship into engineering, and international service and engineering. He worked on the Student Attitudinal Success Instrument (SASI) and was the principal investigator on the development of an NSF-sponsored taxonomy tool for first-year engineering courses. Reid, who serves on the board of Solid Rock International, has taken student teams to the Dominican Republic, offered workshops for K-12 teachers, and assisted with medical teams. 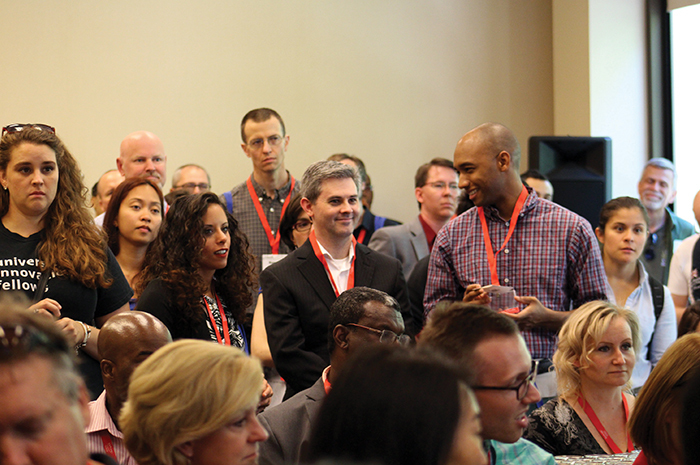 This award recognizes high-quality papers that are presented at the ASEE Annual Conference. Papers awarded were presented at the Annual Conference the previous year. One outstanding conference paper is selected from the four ASEE Zones. The Zone Best Paper Award consists of $1,000. Six outstanding conference papers are selected: one from each of the five ASEE Professional Interest Councils (PICs) and one overall conference paper. The award consists of $1,000 for each PlC paper and $3,000 for the best conference paper. Best We Can Be, Inc.